It’s difficult to overstate the revolutionary advancements needed to sustain a successful, long-term human presence on Mars. The most obvious of these are technological — how to physically transport living humans to another planet and provide them with the tools to flourish there. Yet with that initial hurdle cleared, there remain another series of equally challenging legal, economic, and diplomatic problems that we’ll face as a species with two homeworlds. These days, the enormity of the first challenge may obscure the contours of subsequent problems. But they are no less urgent to address. One of the first considerations when packing for interplanetary travel is what to bring along and what to leave behind. The overarching goal is to take the concepts that have served humanity well as a species (citizenship, philanthropy, and the rule of law) and discard concepts that have led to destructive behaviors — first and foremost colonialism. And while the first human voyagers won’t leave for the Red Planet anytime soon, the groundwork for what they must carry with them is already being laid. NASA, the European Space Agency, the China National Space Administration, and several private corporations have declared bold initiatives for placing humans on Mars in the coming decades, so the first step of a human on martian regolith seems to be only a matter of time. The first few missions will likely be exploratory in nature, as short-term excursions to a nearby world. But plans for permanent settlement are also in the works. Perhaps most ambitious is the Netherlands-based organization MarsOne, which seeks to establish a permanent colony on Mars by 2023. While this crowdsourced approach may fail to reach fruition, the idea of a corporate-led Mars colony — rather than one directed by a national space agency — raises unresolved questions about the legality of settling on Mars. States on Earth are also responsible for the activities of their emissaries into space as well as any damage caused by objects carried into space, which would even include corporate claims to space resources. These conditions imply that permanent occupation of Mars by any representative of a sovereign nation would violate the Outer Space Treaty. This may not prevent any would-be Mars pioneers from braving the wilderness of space to establish a colony. Last November, Congress passed a bipartisan bill known as the Space Act of 2015, which opens the door to mining of resources on asteroids by private corporations. Some legal analysts argue that this provision of the Space Act violates the Outer Space Treaty, while the Washington-based corporation Planetary Resources hails the legislation as a victory that “encourages the commercial exploration and recovery of resources from asteroids, free from harmful interference.” Land grabbing on Mars is somewhat different than retrieving pockets of water and precious metals from asteroids, but the Space Act represents a step in a direction away from the principles of non-appropriation. Space colonization remains a more distant possibility than asteroid mining. Yet the most likely outcome seems to be a continuation of the same motives of profit and power that have driven the historical patterns of expansion on Earth. If Mars is treated as little more than a source of resources, similar in legal status to asteroids under the Space Act, then this could lead to a series of national and corporate-sponsored missions to develop and plunder the martian terrain for personal and political gain. Such a future would still lead to significant advances in technology and may even achieve self-sustaining human colonies on Mars; however, such short-sightedness could destroy the transformative potential of Mars to reconceptualize our planetary ethics. A different, more radical approach would be to liberate Mars from the start. Rather than extend the ideas of the parent nation, corporation, or global order, colonists arriving on a liberated Mars would relinquish their former status as earthlings and embrace a new planetary citizenship as martians. This distinction carries with it the responsibility that the Mars colonists fend for themselves to develop their own systems of conflict resolution, governance, currency, education, art, music, and spirituality — without depending upon any of the legal protections of Earth. The purpose of this experiment would be to reduce the tendency for the civilization on Mars to repeat undesired historical patterns of Earth by allowing the colonists themselves to dictate their future. An initial period of non-interference in these critical stages of development, permitting contact with earthlings only to pursue mutual scientific goals, could lead to a very different type of colony where new ideas toward global problems of equity and the commons have been realized in practice. Indeed, withstanding the hostile environment of Mars will require unprecedented cooperation among any group of settlers, where adherence to basic principles of conservation and sustainability are a matter of survival. Approaching Mars through the framework of liberation would retain the potential for exploration to enlighten our values here on Earth by looking towards the developing martian civilization as an example. Trade would also be restricted on a liberated Mars, at least at first, in order to allow martian civilization to develop without any coercion from the human home planet. Anything brought from Earth to Mars would become a permanent fixture and remain permanent property of Mars, even if the costs were borne by space agencies on Earth. 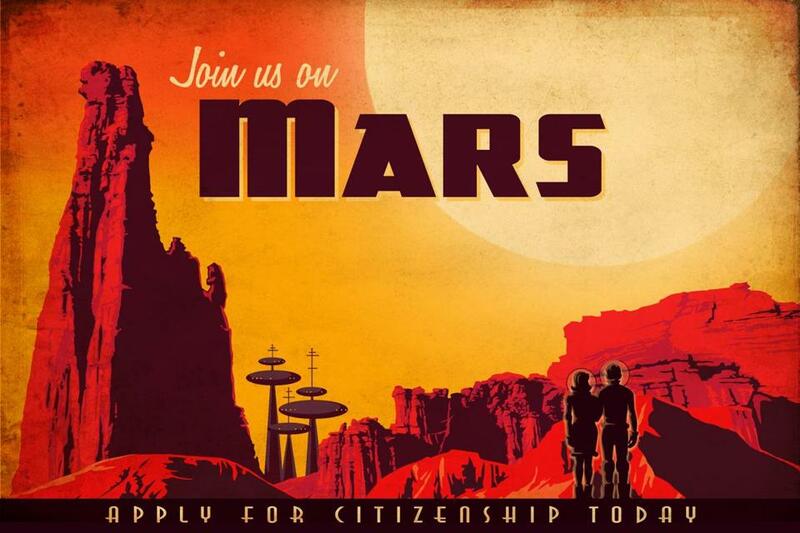 Citizens of Mars could accept any gifts given freely and without remuneration. This limitation would maximize the creative potential of martian civilization while also avoiding extortion from Earth. A high risk of corruption exists during the formative stages of colonization, but in the long-term, a fully developed civilization on Mars could benefit Earth as a mutual trading partner. Prohibiting trade during this critical development phase is an important check on any implicit power imbalances between the two planets. Following this strategy, the colonists of Mars must either be extremely well equipped from the start or else be critically dependent upon charitable support from Earth. Both options would require a monumental financial commitment from a wealthy individual or corporate donor with little hope of ever receiving a direct return on investment. Most attempts at Mars colonization would be doomed to failure without the promise of external support to replenish resources such as food, potable water, breathable air, and construction materials. Just as necessary as the technological vision, is a long-term financial vision to establish an independent and self-sustaining martian colony, motivated not by profit or power but out of a sense of deep altruism for the future of humankind. Other lofty scientific goals have attracted donors with a sense of deep altruistic values. Russian venture capitalist Yuri Milner recently announced his $100 million Breakthrough Listen initiative to support the search for extraterrestrial intelligence, or SETI, using radio telescopes, which complements Microsoft cofounder Paul Allen’s $30 million support in 2004 toward a dedicated SETI observing facility. The discovery of intelligent extraterrestrial life may not pay dividends to investors, but the knowledge that we are not alone as intelligent beings in the cosmos would be perhaps the most transformative experience to ever befall humanity. Likewise, the colonization of Mars may lack a direct ability to repay investors today, but the long-term objective of realizing a second instance of civilization could transform our fundamental understanding of our relationship with our planet. Technology transfer provides one utilitarian motivation for pursuing deep space exploration. Many consumer and industrial devices owe their invention directly or indirectly to space-related research, and any program to colonize Mars will necessarily result in a great deal of spinoff technology. In principle, any individual or corporation that retains the intellectual property rights to this technology can continue to profit on Earth, even if some of this technology is donated to colonists on Mars. Of course this type of support of an independent martian colony would surely be leveraged for marketing of said technology on Earth — somewhat analogous to an attorney taking on a case pro bono for reasons of principle as well as enhanced marketing. Yet this can only be part of the motivation for a donor to support Mars liberation, as space colonization is far too costly to rely upon short-term increases in revenue as a justification. Rather than looking toward conventional gains, a donor acting out of a genuine sense of deep altruism would see the potential to help a second instance of civilization take hold on another planet, with the knowledge gained from this experiment for the greater good of humanity serving as compensation for the sustained support over decades, centuries, or longer. A deep altruistic donor may even see the potential for new intellectual and commercial partners in the distant future, once civilization has taken hold on Mars and restrictions on trade are relaxed. Any individuals involved in the decision to fund such a venture will surely have long passed by the time this occurs, so deep internalization of intergenerational cooperation will be required for this venture to succeed. For example, a short-term vision for the SpaceX corporation might be the establishment of a SpaceX-controlled colony on Mars that maintains strong ties to the parent corporation. A much longer-term vision for SpaceX would be to help seed a self-sustaining colony that, in a hundred years or more, could become a functioning independent civilization capable of engaging in new partnerships with SpaceX that would otherwise have been impossible. These are admittedly very long-term and altruistic motivations, but this shift in our underlying motivations could benefit us in solving problems on Earth as well. Funding the colonization of Mars over the intergenerational timescale would be a historic challenge. The combination of wealth and effective succession across generations makes organizations such as the Rockefeller Foundation and the Carnegie Corporation prime models, as the two oldest philanthropic institutions in the United States. Lloyd’s of London, the oldest continuously operating insurance company in the world, holds a unique perspective in its ability to finance risky ventures and could potentially bear the risk of supporting a Mars venture. Other corporations like IBM have maintained a tradition of continued innovation over a century, while longstanding entities like the Swedish National Bank have experience with maintaining operations over hundreds of years. Individual investors, such as the Waltons and other billionaire families could also contribute to such an endeavor. Planning the liberation of Mars before anyone has set foot there is undoubtedly idealistic, and the success of legislation like the Space Act provides even less confidence that international agreements will be amended to further curb the activity of sovereign nations in space. But adherence to the principles of a liberated Mars need not require the rule of law and individual donors can certainly act from the values of deep altruism to enable success on Mars whether or not they see personal gain. Several individuals, corporations, and nations have the means today to help sustain a permanent human presence on Mars and nothing in the Outer Space Treaty can prevent them from providing gifts to help a fledgling martian colony thrive. From this perspective, the greatest reward to a donor may be the knowledge that they enabled one of the most audacious undertakings in human history, which holds the capacity to radically transform our understanding of ourselves, each other, and our environment. Mars needs a deep altruist to help us realize our potential as a species so that we can continue to value the resources of space on behalf of all humankind. Jacob Haqq-Misra is a research scientist with the Blue Marble Space Institute of Science. He can be reached at jacob@bmsis.org.